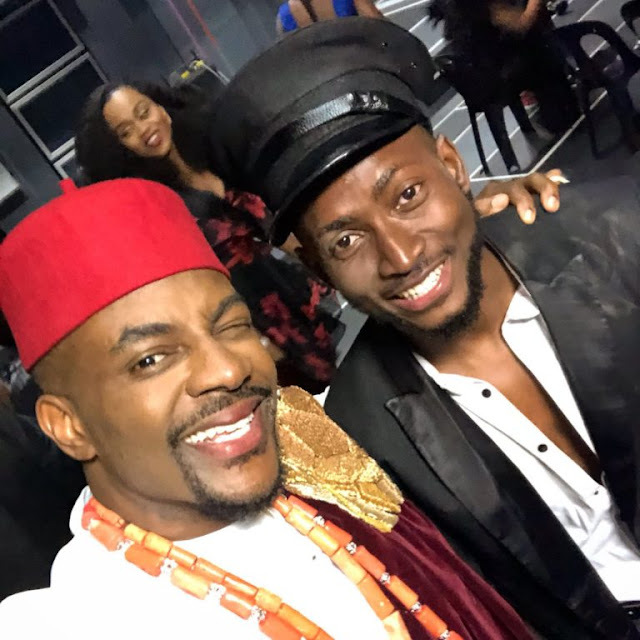 Ebuka and Miracle at the grand finale of BBNaija 2018 on Sunday. Miracle has won Nigeria’s biggest reality TV show, Big Brother Naija (BBNaija) termed ‘Double Wahala’ as the TV reality show ended on Sunday in grand style. Miracle is one of the 20 housemates who started the show on January 28 to win the grand prize. Miracle will go home with N25 million. The five finalists are Miracle, Cee-C, Tobi, Alex and Nina. Miracle, has been a lucky one in the contest as he won many of awards put up. He emerged winner of the BigBrotherNaija (Double Wahala) final wager challenge. The lucky BBNiaja housemate, had earlier emerged winner of the season’s Payporte arena games challenge with a prize of N1 million. They were all instructed by BigBrother to pick a box each labelled 1- 10. BigBrother said one of the suitcases contained a cash reward and instructed housemates not to pick the suitcase containing the cash reward. Miracle picked the box labelled number 2, which contained the money.